Why Does My Android or iPhone Keep Freezing? Your Android or iPhone is a mini computer. Here’s what’s up. Like any computer, a smartphone may sometimes stop responding. A slow processor, not enough RAM (memory), or a lack of storage could be the cause. An app or an operating system issue also might stop your phone from working as you expect. And a slow or disconnected internet connection can also prompt problems. Here are several steps to take to fix your “phone freezing” issues. The first 8 focus on a fix or repair. Note that the ninth option is to purchase a new phone, since a new, mid-range (or better) smartphone almost always will perform better than an old, value-priced device. As with almost any electronic device, the first troubleshooting step is to turn it off, then turn it back on. Your phone is no different. A restart or reboot may resolve a surprising number of problems. See How to Reboot an Android Smartphone or Tablet or How to Reset Any Model of iPhone. Update your system software and apps. A flaw in system software can cause sporadic and unpredictable problems, Updating to the most current version at least gives you access to known and fixed system flaws. For an iPhone, see How To Download and Install New iOS Updates. If you have an Android phone, see How to Update Your Android OS. Check for app updates in the App Store on an iPhone, or in the Google Play store on an Android device. (For more details, see How to Turn on Automatic App Updates on the iPhone and iPad or How to Update Apps on Android.) ﻿A bug in an app can affect your device’s available memory and/or performance. The best software developers make an effort to maintain their software and publish periodic updates. Force the app to quit (or close). To quit an app, see How to Close Apps on the iPhone or How to Close Apps on Android. This helps when an app simply gets stuck in an unusable state. You tap it, but it doesn’t open or doesn’t respond. It’s stuck. Much like on a computer, this stops the app so you can start it again. On iOS, you shouldn't need to quit apps with any regularity (even if it is fun to flick them off the screen). iOS pays attention to which apps should be running and stops the ones that don't need as much of your device's resources. Still, if an app is not behaving, you know what to do. Free up storage space by storing videos and photos somewhere other than on your device. Videos can take up a significant amount of storage space. See either How to Free Up Storage on iPhone or How to Free Up Storage Space on Your Android Phone or Tablet. A lack of storage space may also cause a phone to pause or appear to stop working, and full (or almost full) storage may make your device respond more slowly. 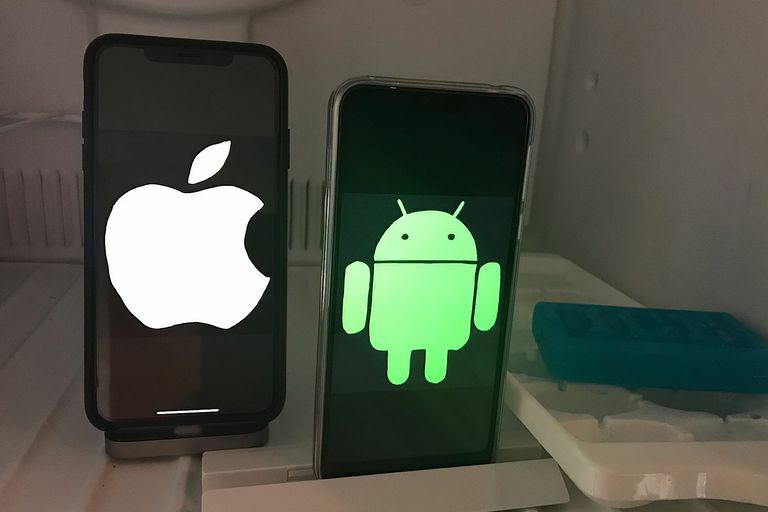 If you notice that your phone freezes frequently after you open an app, you might want to remove that app. Some apps are simply flawed and/or crash-prone. See How to Delete Apps from Your iPhone or How Do I Delete Applications from My Android Device? to learn how to uninstall an app. If you’ve tried all of the above steps and your phone still freezes, reset your phone. Make sure you have backed up your phone before you do a reset. To backup an iPhone, many people prefer iCloud (see What is iCloud? How Do I Use It? ), while Android backups can be done in many different ways (see How to Backup Your Android Phone). A factory reset erases all the data from your phone and returns the device to its original state. After a reset, you’ll need to go through the standard phone setup process, just as you did when your phone was new. See How to Restore an iPhone to Factory Settings or How to Reset an Android Phone or Tablet and Wipe All Data. ﻿After you’ve tried all of the above steps and your phone still freezes, you might seek a specialist to figure out if there’s a hardware problem with your your device. If you have an iPhone, take your device to an Apple store or contact Apple Support. If you have an Android device, contact either the manufacturer of your phone or contact your carrier for support. If a repair doesn’t make economic sense, or if your phone can’t be upgraded to the most currently supported operating system, you may want to purchase a new device. Generally, any iPhone released in the past twelve months will deliver good performance, as will most mid-range (or better) Android phones released in the same time period. For more detailed buying advice, see How to Pick the Best iPhone for You or Features to Look for When Choosing a New Android Phone. That's it! Hopefully, one of the earlier steps above fixed your phone freezing problems.